FASHION At The #CosmoSummer2018 Party! SEE PHOTOS from the cosmo summer 2018 party! The Cosmopolitan magazine recently hosted media and celebrities at their long awaited Cosmo Summer 2018 event. The star studded event had fire performances from the likes of Nadia Nakai and celebrity choreographer Nkateko ‘Takkies’ Dinwiddy. Social media strategist Banele Christopher kept a rather casual look in a floral shirt and green pants. Star Khulu is dressed in a floral custom made jumpsuit from Olealifestyle. Naledi Radebe is looking gorgeous in a dress from Fashion Never and block heels from Call It Spring. Sinovuyo Mondliwa is looking all simple and classy. 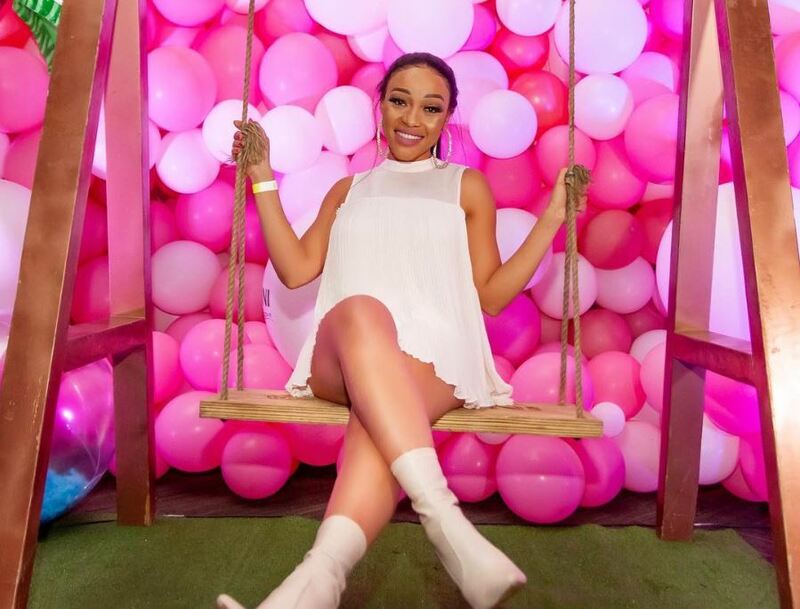 We love the purple Steve Madden shoes that Nadia Nakai is rocking. Host of the evening Thando Thabethe shows off some skin in this cute number. Stylist Tshepi Vundla is looking dazzling in a yellow dress with black stylish heels and a statement Louis Vuitton clutch bag.